← Echinacea ‘Summer Sky’ – an Orange Coneflower! As I mentioned in the previous post – I am a frugal gardener. Actually, my frugality isn’t confined to gardening; it is an unbreakable habit, encompassing all aspects of my life, instilled in me by my thrifty Mother. My daughter, with the blunt authority of a teenager, calls me cheap. 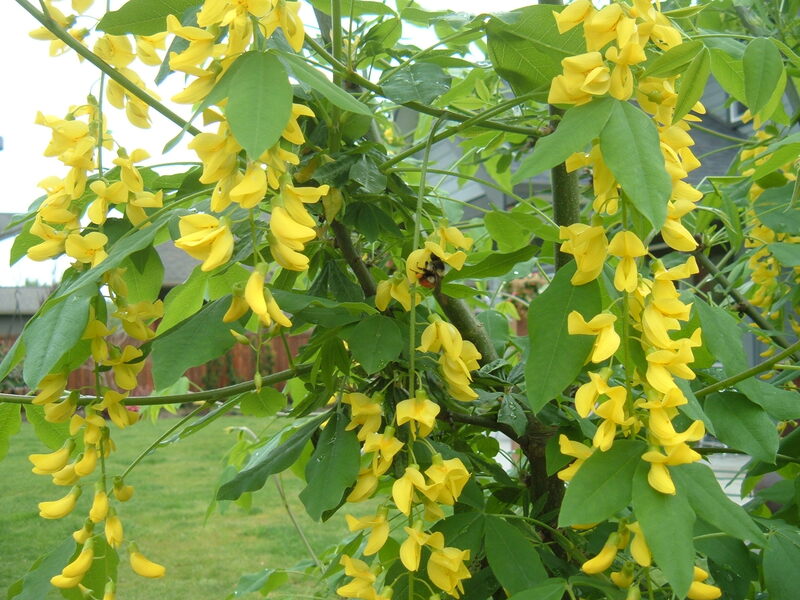 Whatever you call it, some of my favourite plants are – free plants! 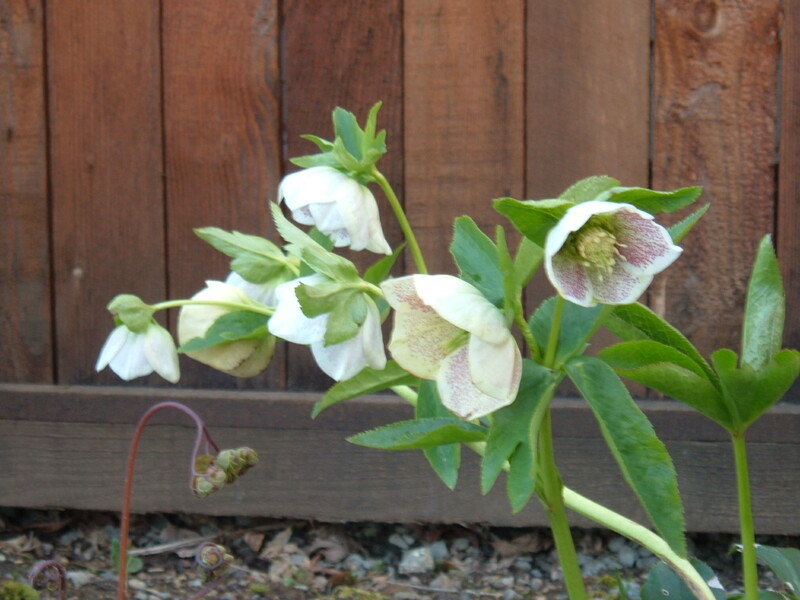 Some of my free plants are divisions or seedlings shared by friends and family, like the beautiful hellebore seedling my sister gave to me last year. This spring it bloomed, and I was thrilled to see that the white flowers were intricately spotted with burgundy. 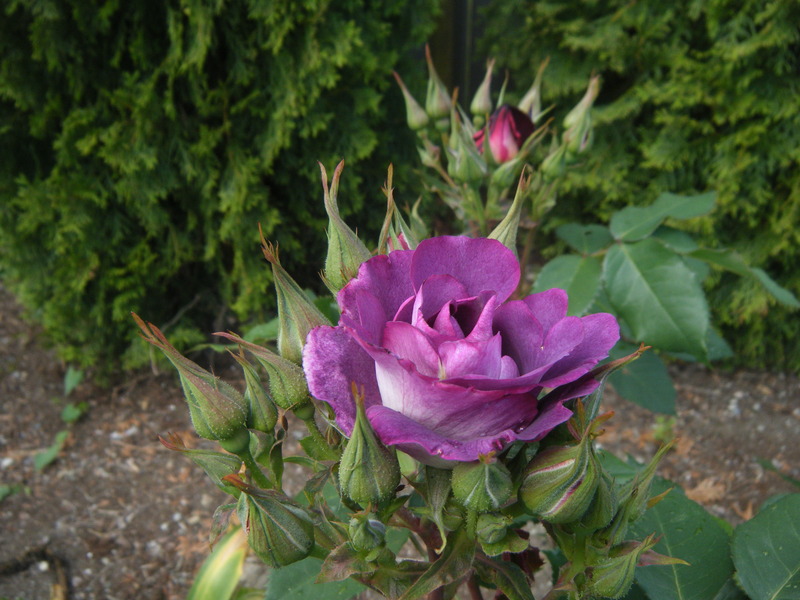 Exactly the colour I wished to have in my garden – how lucky is that? I’m also the proud possessor of several free plants given to me by my employers at the garden centre. Some are new trial plants supplied by the growers, like my Stormy Weather rose, some are plants that are damaged or sickly to the point where they are unfit for sale, like my Laburnum vossii (a broken, branchless stick when I brought it home) and sometimes I get to take home plants that are unprofitable to overwinter, like geraniums. But by far, the most prolific source of free plants is…my laziness! I could use as an excuse that I have two jobs, two teenagers and ten animals to care for, not to mention a husband and a time-consuming blogging habit (and perhaps a teeny, tiny, internet addiction). At any rate, I’m busy enough managing all this stuff along with my garden, that one of the last things you’ll find me doing is keeping up with the weeding. Volunteer Delphinium right in front of the henhouse window. I'll be relocating that in the fall! So all those little weeds grow for a bit before I get around to ripping them out, and usually grow enough so that I can recognize them. And you’d be surprised what seeds itself in a lazy persons’ garden! Sometimes I talk to customers at the garden centre who swear that none of their flowers reseed for them, and invariably there is someone in the household who can’t stand to look at weeds, deleting all their free plants. I notice these gardens every so often as I drive about town, perfectly manicured, without a whisker of grass out-of-place. That’s so NOT my garden! 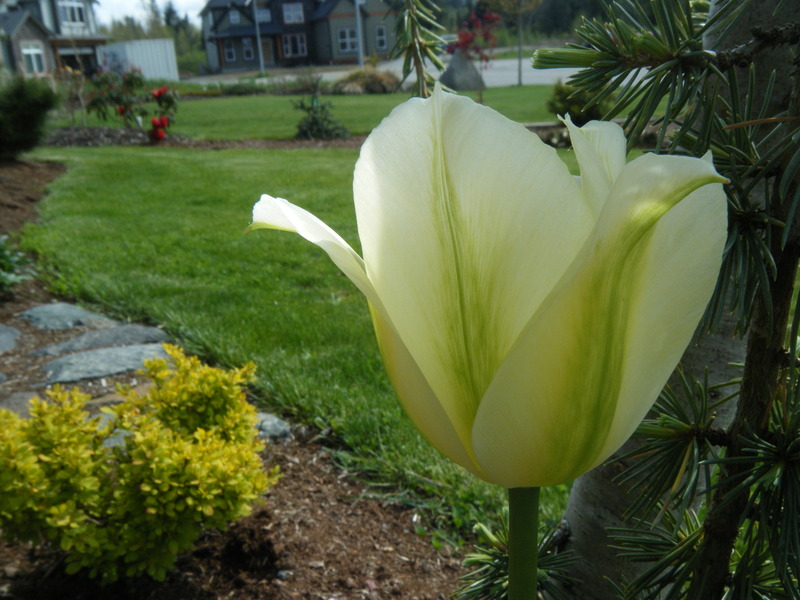 I don't know where this tulip came from, but I didn't buy it so it's a free plant! 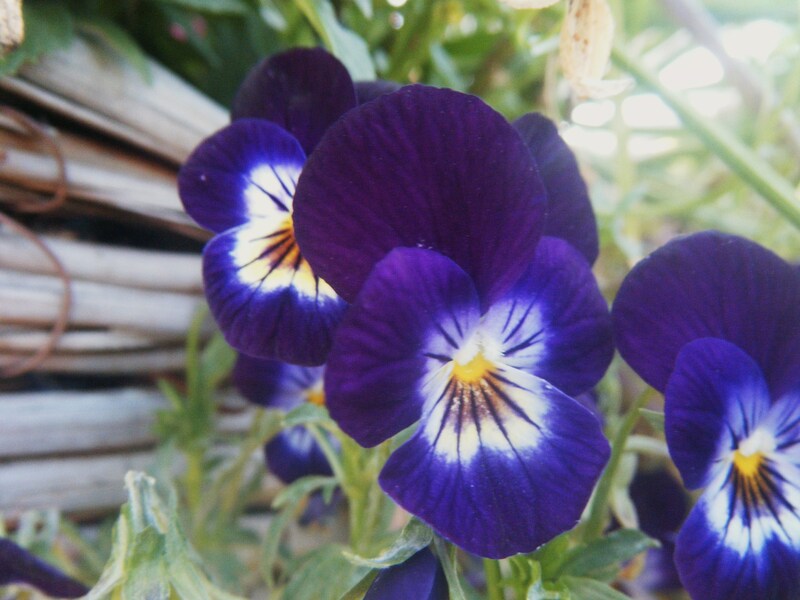 I have tons of the usual self seeders, like violas, pansies, foxgloves, snapdragons and columbines, but there are many other plants that self seed if given half a chance. 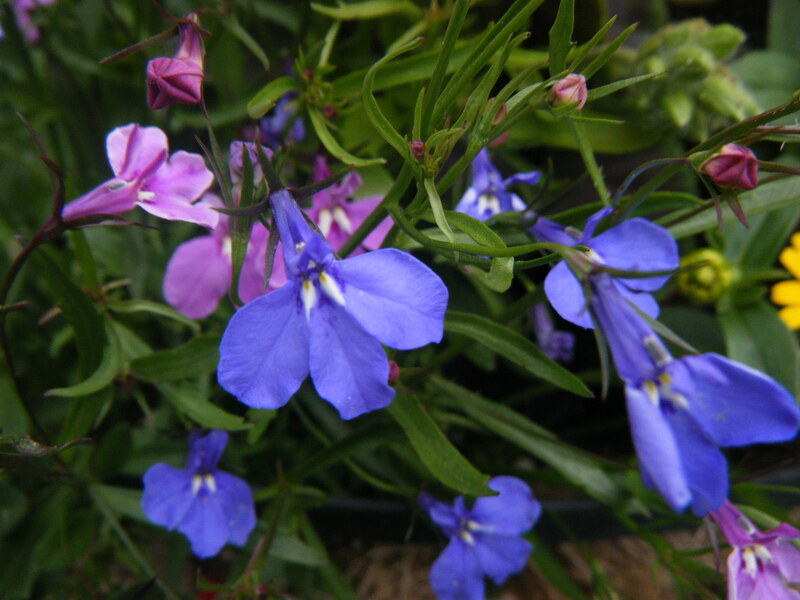 I have several Delphinium that have popped up in unlikely places, and my Veronica longifolia has reseeded all over the back garden, in complementary shades of blue, purple, rosy pink and baby pink. I am enjoying the alpine strawberries that have propagated themselves, when the dogs don’t get them before me! One of the most surprising volunteer plants in my garden this year is a lovely salpiglossis sinuata (painted tongue). I grew a few of these last year on the other side of the garden, so I’m not sure how it managed to cross the yard (probably in compost), but it’s gorgeous! Right behind the salpiglossis is self-seeded dill. I planted dill in my new garden in year one, knowing that I would never have to plant it again because it reseeds with enthusiasm. I just weed out the ones I don’t want, and leave a plant or two where there is room to accommodate them. 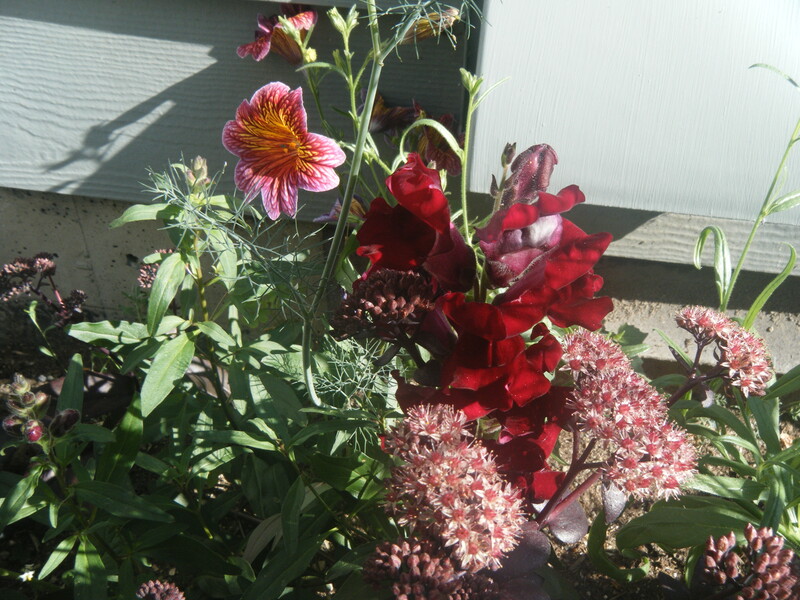 All of the plants in this shot are "free plants"; painted tongue, snapdragon, dill and purple sedum! 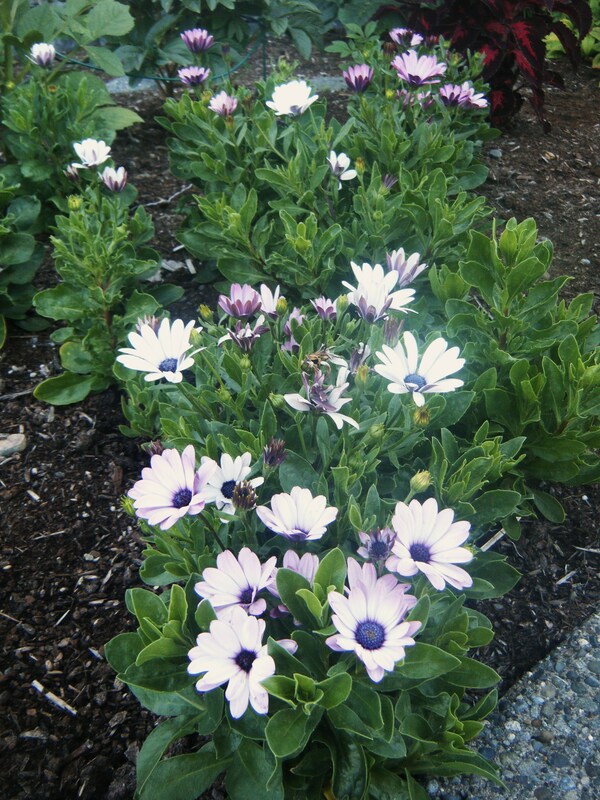 In my front garden last year I had some beautiful mauve and white osteospermum, a lovely little daisy that is very deer resistant. I have never known this plant to reseed, but I saw some rather familiar little plants this spring when I was weeding and sure enough, I have new osteos – and they were free! I have some “free” cleome in the front garden too – which my father mistook for something illegal last time he was here for a visit. 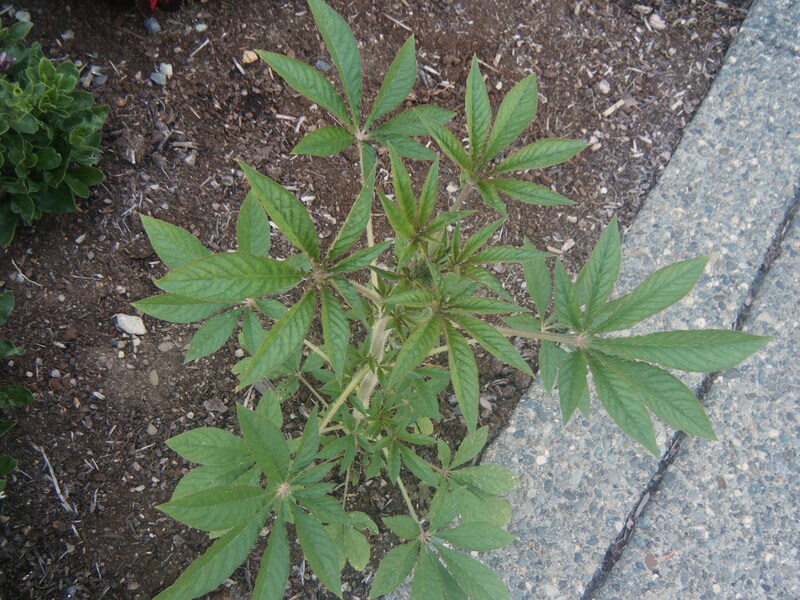 Well, this is BC, but no Dad; I’m not growing those weeds! It's Cleome Dad, and it's perfectly legal! New to my garden this year are Nasturtiums and Calendula. I know that these babies will reseed, and look forward to enjoying them in years to come. Some plants reseed a little too frantically, even for me. One is Solidago (commonly called goldenrod) a North American wildflower with lovely yellow flowers in summer and an iron constitution. 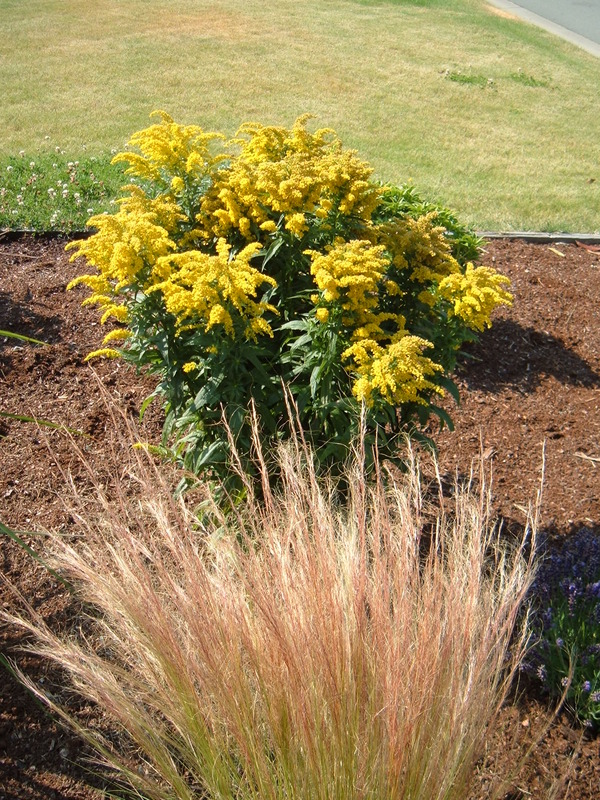 I put one in the front garden last year because it’s reputed deer resistant (and it was), but it kind of clashed with my Rudbeckia ‘Goldsturm’ (a different shade of yellow) and this spring what seemed like ten thousand goldenrod seedlings sprung up across the front yard – so out they all came. 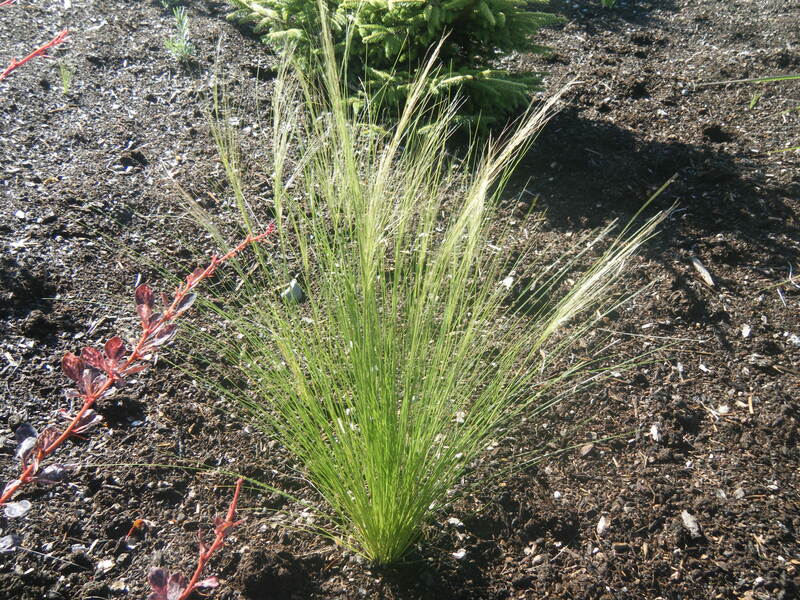 Another prolific self-seeder in the front garden is Mexican feather grass (Stipa tenuissima). 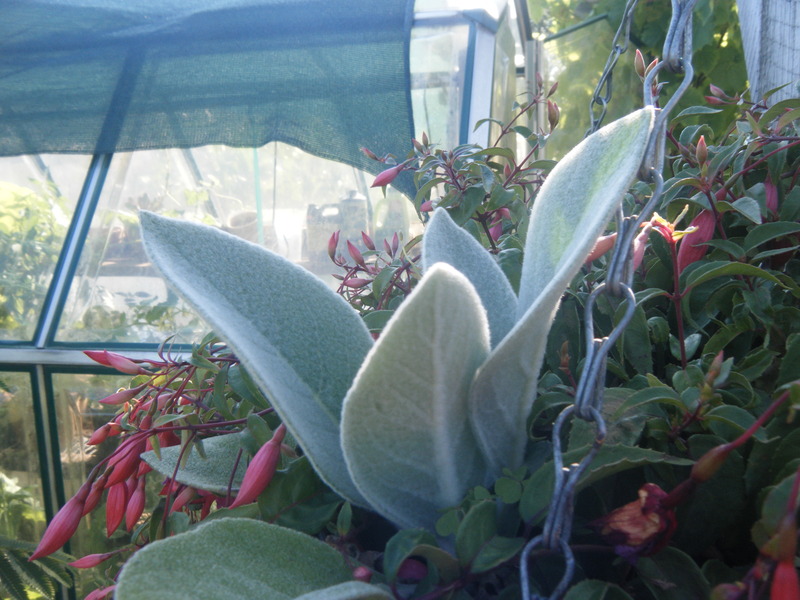 I love this plant for its wispy tendrils that wave in the slightest breeze, but it often doesn’t come through our wet winters very well. That’s okay though, I just remove the ugly old plants because there are sure to be numerous offspring, which I can selectively weed so I always have enough in the garden. All these free plants to be had, just by neglecting my chores! Verbascum bombyciferum seeded itself in my fuschia basket! 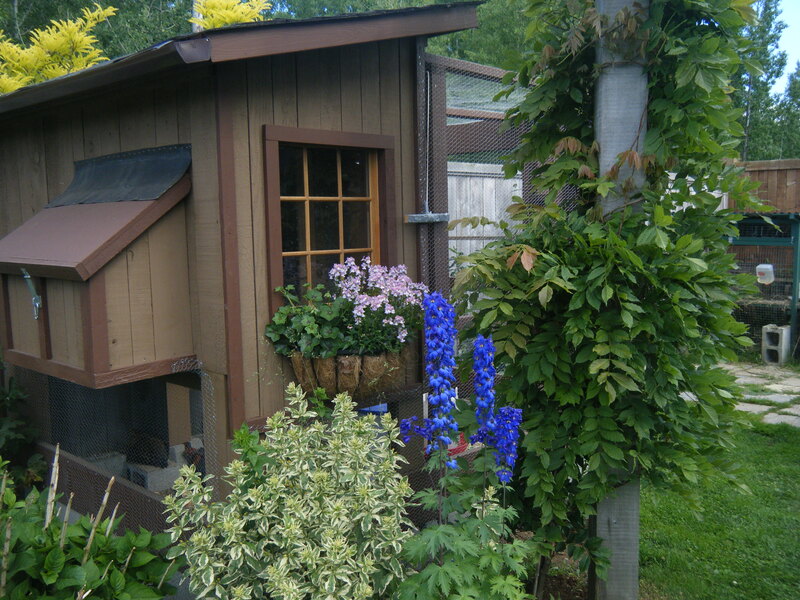 This entry was posted in Front Garden, My Favourite Plants, New Garden and tagged BC garden blog, Cleome, deer resistant plants, deer-proof plants, delphinium, free plants, Helleborus orientalis, Laburnum, Lobelia, osteospermum, Salpiglossis, Stormy Weather rose, Vancouver Island garden blog, Veronica longifolia. Bookmark the permalink. 18 Responses to Free Plants! Where do you live? I want to come and have a leisurely stroll around your beautiful garden – it’s so colourful! Some of the flowers you have shown today I have never heard of, but they are gorgeous – especially the Salpiglossis sinuata – absolutely stunning! You have chickens, right? Do you keep them in a designated area or do they roam around your garden? Just curious because we are getting some in a couple of months and we only have a small coop to house them. I was wondering if they would eat the plants if I let them roam. I live on Vancouver Island, and you’re welcome to come for a visit! I’m working up the courage to let the hens out for a wander, it’s been suggested to me that if they are only let out in the afternoon it limits the damage they can do to the garden because they’ll go inside at dark. In the meantime they get lots of kitchen scraps and buckets of weeds. We used to have hens before and they always went inside at dark, so perhaps just letting them out for the afternoon would be better than all day – less time to do damage! btw – I live in Australia and you are welcome also to come visit me! Hi H! On this very grey and windy morning that seems to be inspired by autumn coming already, I got this post from your blog and it inspired me to dig into the depths of my gardening motives. It highlighted this day instantly! I recognized so much of it! I am also very keen on gardening, growing things, wondering at the beauty of growing and changing, living actually. I love nasturtium & always try to get them to seed again the next year, which they don’t. I planted lemon pits a month ago and 3 have ‘hatched’! Nice to hear from you Liset, I’m glad you are enjoying my blog! I so enjoyed this post 🙂 And a ‘manicured’ garden is not my kind either…I like wild! 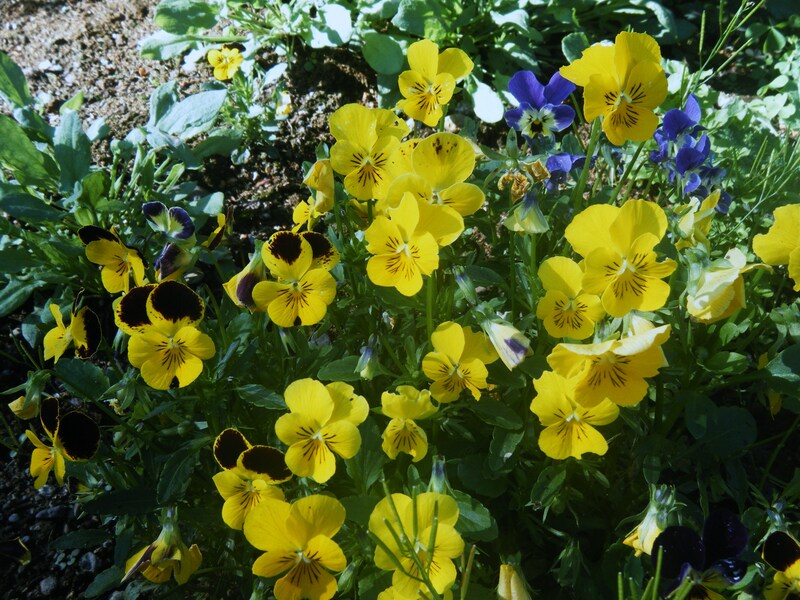 I fell in love with the Salpiglossis! Will it grow in our neck of the woods do you think? Salpiglossis is an annual native to southern Chile, and apparently grows best in cooler conditions, disliking heat and humidity. It’s always worth a try if you can find some seed though! 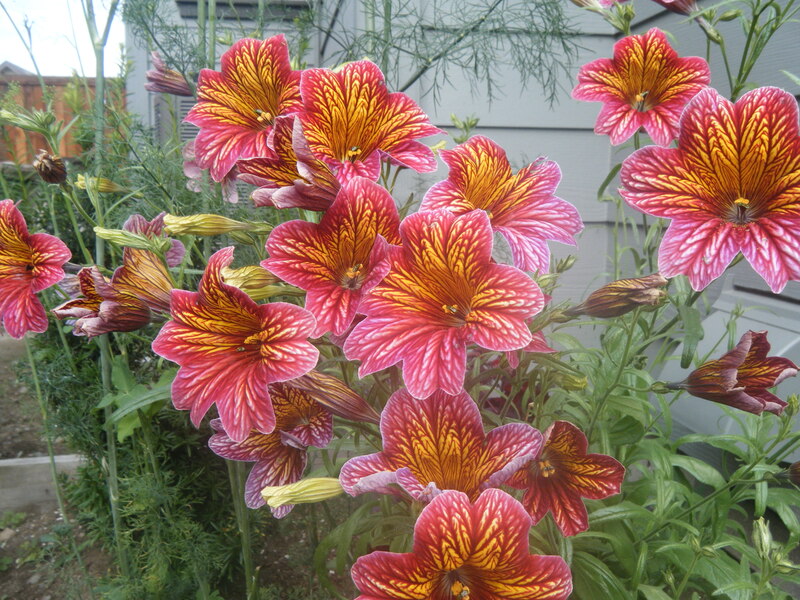 I love Salpiglossis too, the blooms are so spectacular! Water is something that isn’t lacking where I live, but I love cacti and succulents as well, I have several biggish cacti that I grow inside the house, where they thrive on my benign neglect. I think this is why they do so well for me! H you are a delight! As is your garden and your regular updates. I remain a loyal fan! Great, maybe we could do a trade – want some goldenrod? -It keeps popping up!